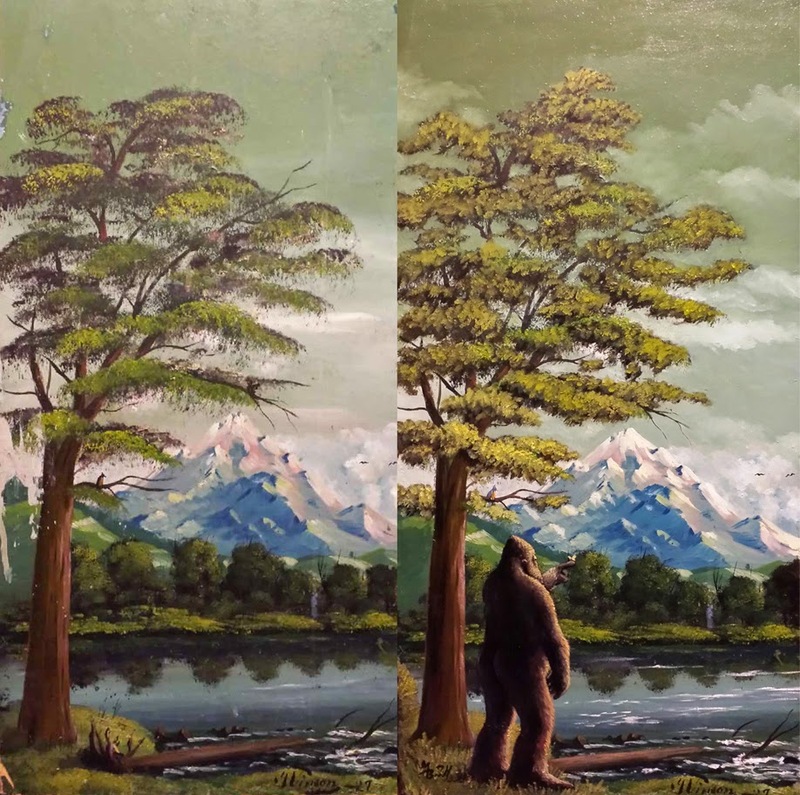 Last night I finally got around to painting my new thrift store "up-cycle" monster painting. The original seems to have been painted in 1927 and was in really bad shape! 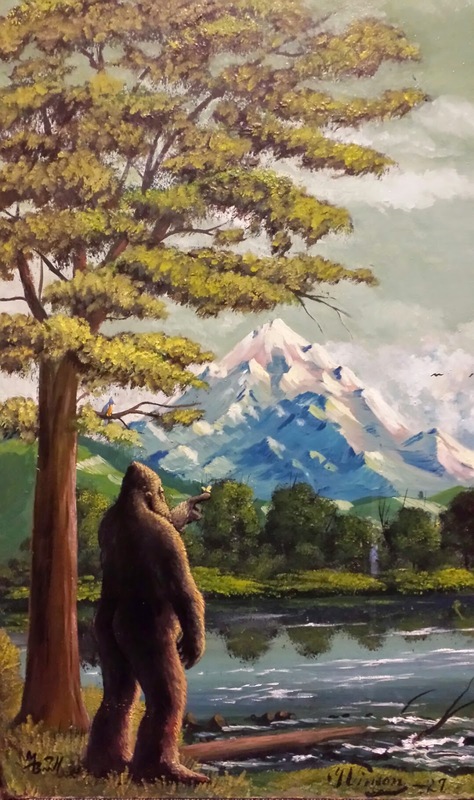 In fact I spent more time repairing things and Bob Rossing the hell out of it trying to make it presentable than I did painting in the sasquatchian "guest star"! It was supposed to go with my Godzilla piece and all the thrift store monster art created by members of my cartoonist's group The C.L.A.W. to be hanged in a showing at the Old Tacoma Post Office building as part of some sort of art appreciation celebration. Now, here's where the story takes a sad turn. I goofed!! Because of the surface and all the damage, I decided I needed to paint it using an old set of water soluble oils I had lying around. I haven't actually touched them since I used them to paint a Magic: The Gathering card several years ago. ("Agonizing Demise"--the only card I did in oils.) I thought that since they were water soluble that they would dry quickly, like acrylics. maybe not as fast, but at least much faster than traditional oils. But BOY was I wrong. they dry like oils. S-l-o-w-l-y. 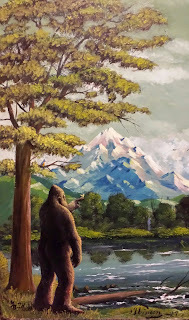 So "Bigfoot in the Park" will not be joining the others at the art show because it is still wet. 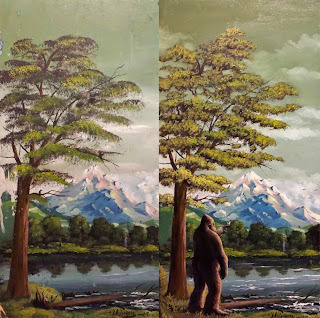 On the brighter side--an interesting thing about this painting is that it has an entirely different painting on the reverse side. Now I will have time to paint monsters on that side too!